There may not be many fans of the movie out there, but those who really enjoyed this year's Texas Chainsaw Massacre prequel Leatherface are out of luck, assuming they want to see that story continue on. Leatherface had a very troubled road in terms of getting a release and that actually got in the way of the rights for the franchise. 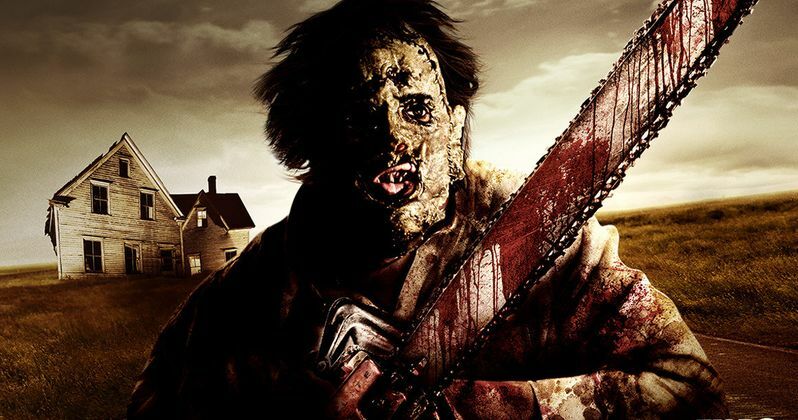 Since Campbell Grobman Films and Millennium Films, the two studios behind the recent Texas Chainsaw movies, took so long to release Leatherface, they lost the rights to the franchise. With that, a reboot is inevitable. The news was confirmed by producer Christa Campbell, who has championed Leatherface and says she's proud of it. Proud or not, Leatherface was something of a bomb and, given the quality, the studio couldn't settle on a release strategy and that has led to this lapse in rights. That has major implications for the future of the iconic horror series, but it's hard to say where it's heading at the present time. Here's what Campbell had to say about it on Twitter after a fan asked about a potential Leatherface sequel. "I loved this film and I'm very proud. Unfortunately because of the time it took to release it we lost the rights sadly... so no...not from us at least." That "not from us" bit is important. Leatherface was a prequel that tells the origin story of the famed killer from The Texas Chainsaw Massacre. So an actual, direct sequel seems unlikely, for that reason alone. But some sort of continuation isn't out of the question, at least in theory. But if not Campbell Grobman Films/Millennium Films, then who? At the moment, it's unclear where the franchise rights are and what's going to happen with them. Ultimately, this could be a good thing. The Texas Chainsaw Massacre franchise is something of a mess. The original classic spawned four sequels, ending with The Texas Chainsaw Massacre: The Next Generation. In 2003, the original movie received the remake treatment. Then, a prequel in the form of Texas Chainsaw Massacre: The Beginning was released. That brings us to the current line of movies, which starts with Texas Chainsaw 3D. That movie serves as a sequel to Tobe Hooper's original. That was followed by this year's Leatherface, which officially ends this line of movies. Probably. Somebody, whoever holds the franchise rights, is probably going to do a Texas Chainsaw reboot at some point. Even though Leatherface bombed, there's money to be made. That said, they could continue the story told in the most recent movies, as hinted at by Christa Campbell in her tweet. But that seems far less likely. The more likely scenario? A full-on reboot. Horror franchises rarely die. They are merely reborn, for better or for worse. New Texas Chain Saw Massacre Movie and TV Show in the Works?